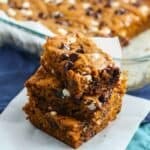 I’ve said it before and I’ll say it again: Pumpkin and chocolate were meant to be together, especially in these pumpkin chocolate chip blondies! 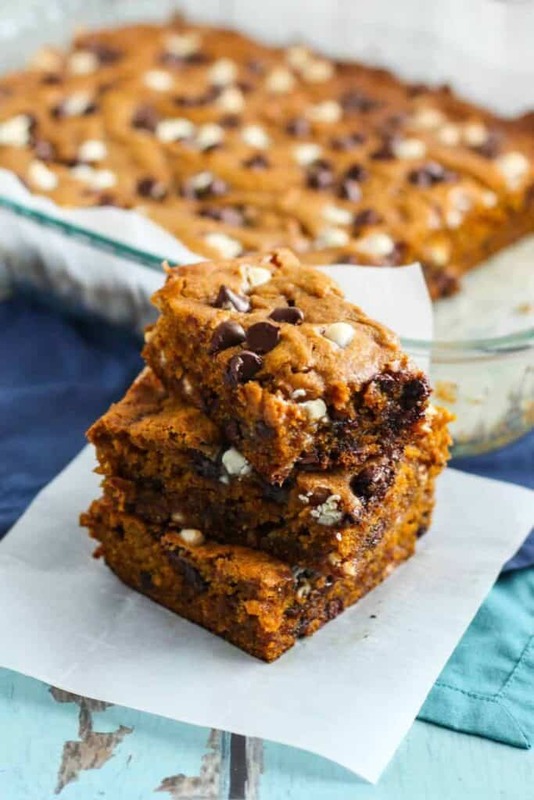 When asked which recipe you would like to see next, and given the choice between these blondies and some buffalo chicken dip in informal polls on Facebook and Instagram, these blondies were the clear winner. I can’t really blame you. Look at them. I know that “pumpkin season” has come and gone. But I maintain that pumpkin should be consumed year-round. In addition to that, pumpkin and chocolate should be consumed together, year-round. Need more proof? Take a look at these Pumpkin Chocolate Chip Cookies and Pumpkin Chocolate Chip Oatmeal Cookies. How about these Pumpkin Cheesecake with Bourbon Chocolate Sauce, and Pumpkin Chocolate Chip Muffins? I think you see what I’m talking about. 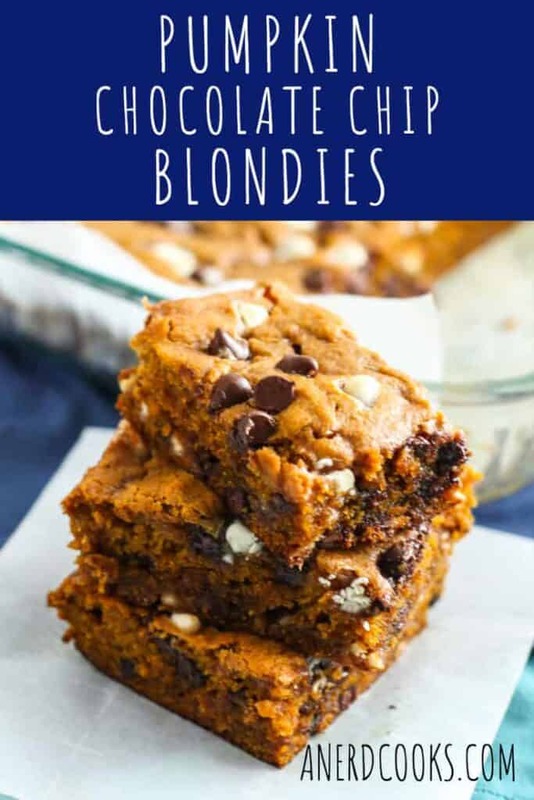 I made these blondies for the first time going on 6 years ago and felt like they deserved a face lift. The original blog post can be found here. 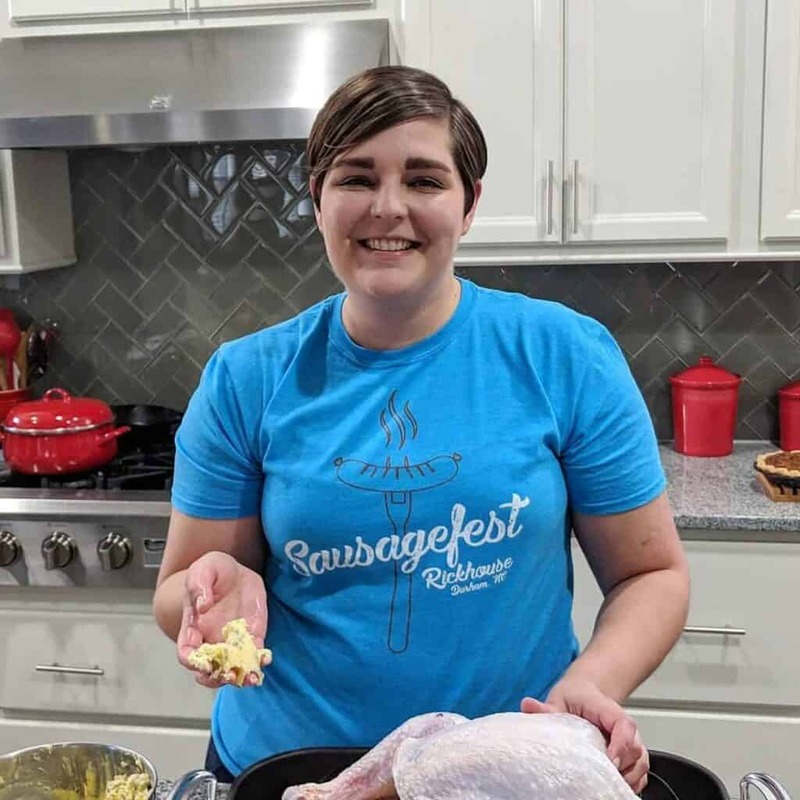 Preheat the oven to 350 degrees F. Line a 13×9-inch baking pan with parchment paper, making sure to leave some overhang on the long sides. Spray the parchment paper with cooking spray. Set aside. In a medium-sized bowl, whisk the flour, spices, baking soda, and salt together. Set aside. In the bowl of a stand mixer, cream together the butter and sugars until smooth. Beat in the egg and vanilla extract until combined. Add the pumpkin puree and beat until combined. Reduce the speed to low, and, little by little, add the dry ingredients. Add the chocolate chips and mix until they are distributed throughout the batter. Pour the batter into the prepared pan in an even layer. Bake for 35-40 minutes, or until a toothpick, when inserted into the center, comes out clean. 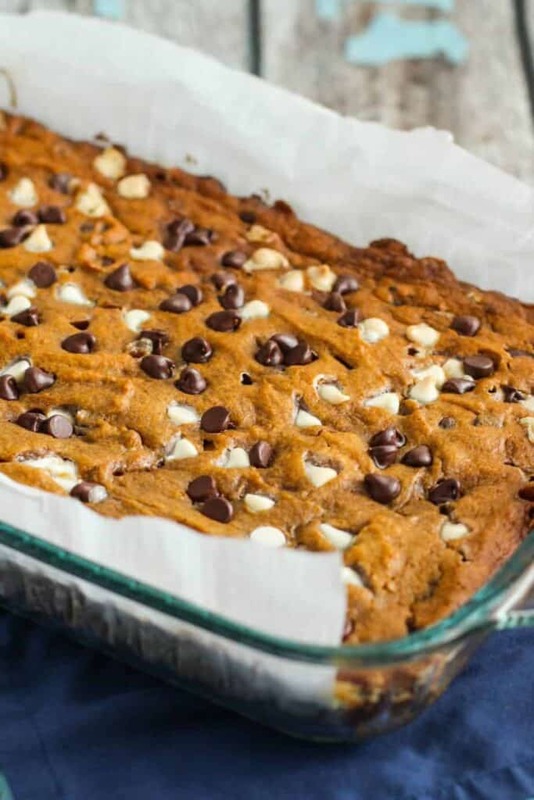 Allow the blondies to cool completely before cutting into squares. Note: Once you beat in the pumpkin puree, the mixture will look kind of curdled, and that this is completely normal. You're doing just fine.